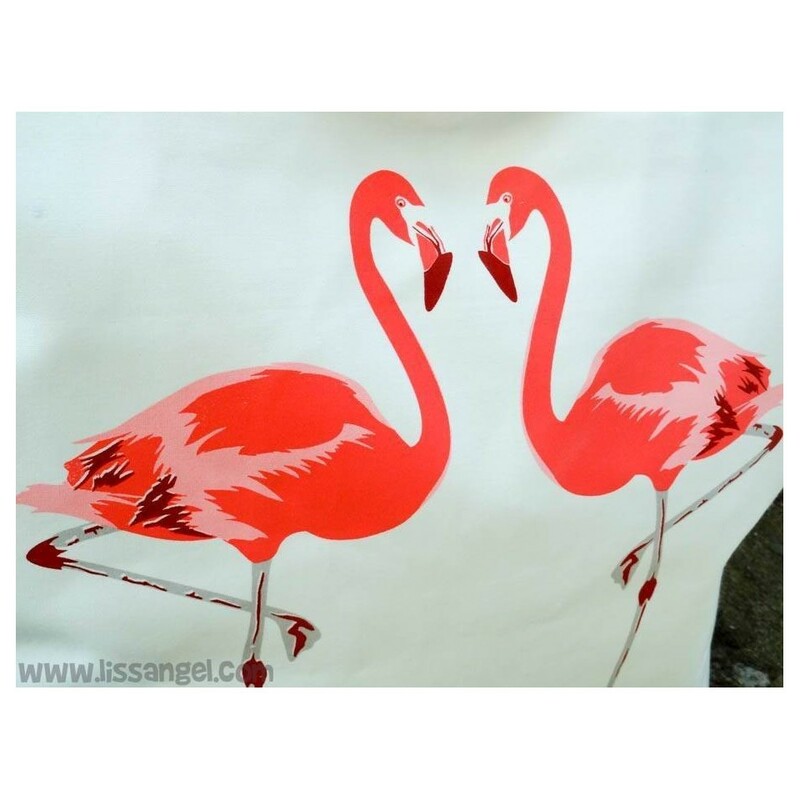 Flamingos are cool! 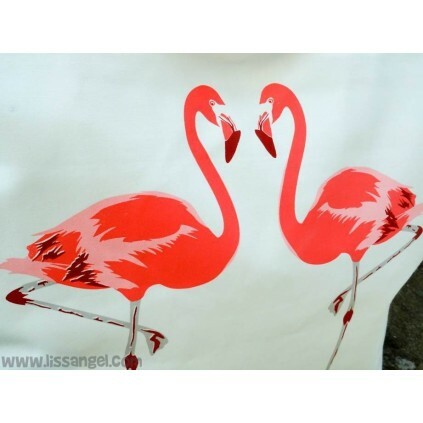 There are a lot of products with these unique birds. 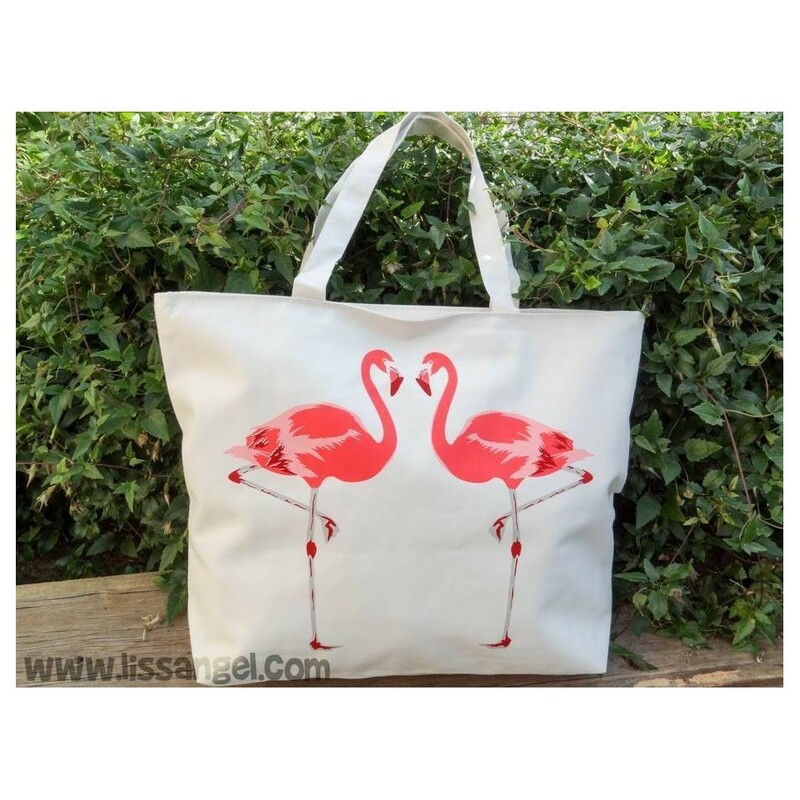 Because we are always carrying things from side to side (shopping, carrying notebooks, folders, food...) this practical and original flamingos tote bag will always be very useful. In addition, it is very resistant and with a very original design. 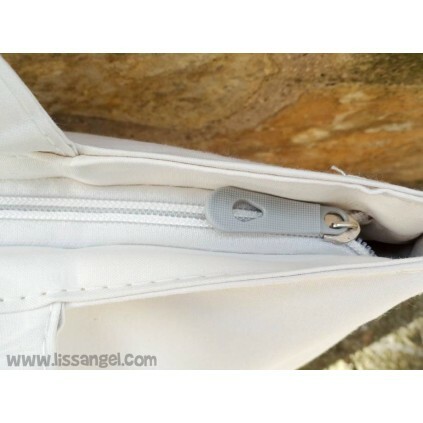 The bag has an inner lining, plus a practical interior zip pocket. Made of soft cotton. 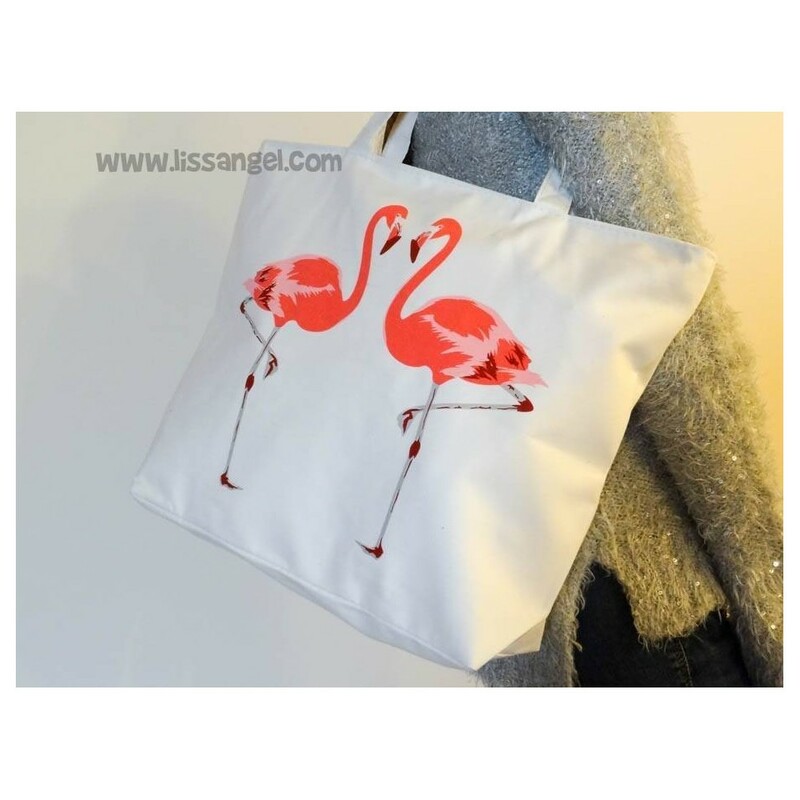 Do you like our original bags? Tote bag with zipper. Small inside pocket with zipper too. Ready to go shopping? 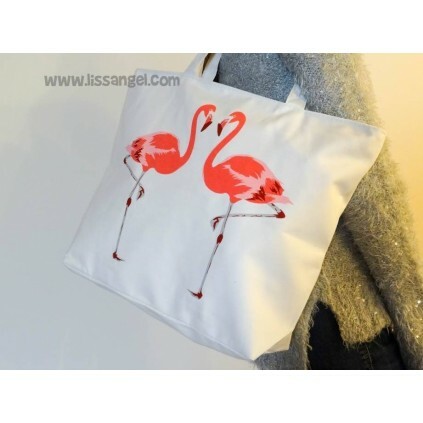 Get a cute shopping bag like this one! 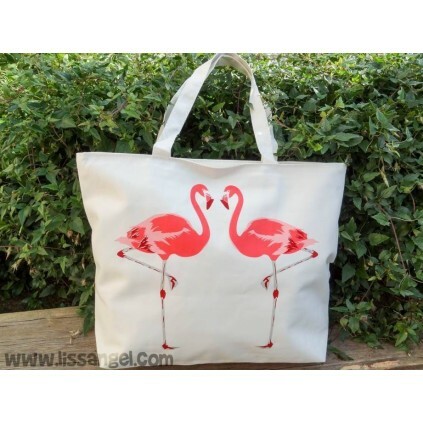 With a nice tabby cat saying "MEOW" on both sides of the bag. Resistant and pretty as none :) We tell you more in the full description below. Todo perfecto, rapido y, al menos en mi caso, con detallito a juego con el pedido. Muchas gracias por todo.